The 3D Connectors are a trusted leader in additive manufacturing, and provide comprehensive solutions in the form of equipment sales and/or services. They offer equipment ranging from the hobbyist to industrial level, and can handle single piece drop ship orders to 3D printing farm/lab arrangements with on-site installation and maintenance packages. In addition, they have access in house and with their partners a full 3D printing production capacity for metals and polymers on the most advanced 3D printing equipment available. The 3D Connectors have a fully capable team with an extensive collective background in manufacturing and engineering. They take pride in their quality, innovative technology, and expertise. Mass Portal is a Latvian company that designs, manufactures and sells professional thermoplastics open-materials 3D printers. Our mission is to bring professional and easy-to-use additive manufacturing solutions to industry professionals around the world. Founded in 2012, the company’s major development was triggered in 2014 by a group of passionate entrepreneurs. The company is now known globally with the products available in more than 50 countries. 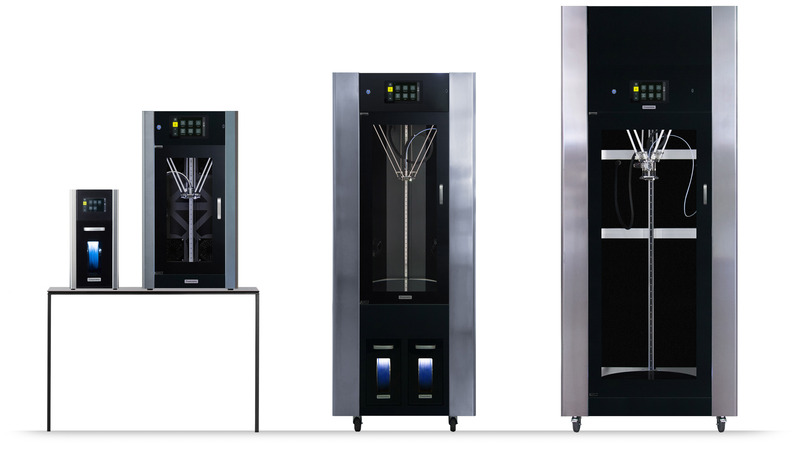 Mass Portal 3D printers are among the highest resolution thermoplastic filament 3D printers on the market, known for the superior printed part surface quality and even layer deposition. We also focus on making our printers as easy to use as possible – allowing professionals from outside of 3D printing industry usage of this technology. Our mission is to make their operations more efficient and individualized products more approachable to the end consumer. Apart from the new D Series printers, the company possesses the world’s first professional filament drying solution and the first integrated 3D print-farm.